A lot of attention in the National League West this season seems to be directed to the Champion Giants, and that’s just what the Rockies would like. Colorado with mashers like Tulowitski and Carlos Gonzalez, table setters Dexter Fowler and a young Eric Young Jr., with steady veterans like Ryan Spilborghs, Seth Smith, Ian Stewart and a determined Todd Helton. An addition of Ty Wigginton who comes over from Baltimore to take over third base, a veteran bat with some pop. This is a team that shouldn’t be taken lightly. And that’s just the offense. The combination of Gonzalez and Tulowitski is lethal. Those two may be the most feared 3-4 hitters in the National League, and they'll be around for a while. Carlos Gonzalez (.336 / .376 / .598 / .974) is only 24 years old. He hit 34 homers, had 197 hits and knocked in 117 runs. Tulo, the older guy, at 25 years old, additionally had a respectable stat line (.315 / .381 / .568 / .949) with 27 homers and 95 RBI. All that in an injury shortened season. Ubaldo Jimenez is a true ace. Aaron Cook is making a comeback, Jhoulys Chacin is arriving, Jorge De La Rosa has arrived and Hammel is no slouch. They are all respectable as starters. Now they’ve added fireballing Matt Lindstrom to the bullpen to accompany Huston Street, Matt Belisle and Rafael Betancourt. The Rocks have the makings of a very effective bullpen. This team has the most potent offense in the N.L. 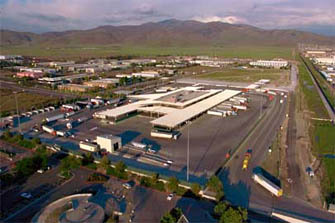 West. They were tops in the division in virtually all offensive categories and they really haven’t made too many changes in the off season. Dexter Fowler came back from a mid season demotion to the big club and figured out how to hit Major League pitching. His splits reveal a ball player that got hot in August and red hot in September. 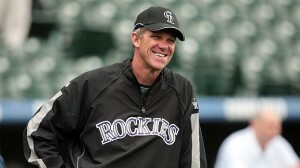 Questions remain with the Rockies catching situation. 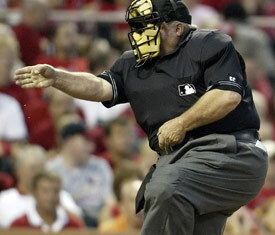 Dan O’Dowd let Miguel Oliva depart in a show of confidence for underperforming Chris Iannetta (.194 / .318 / .383 / .701). 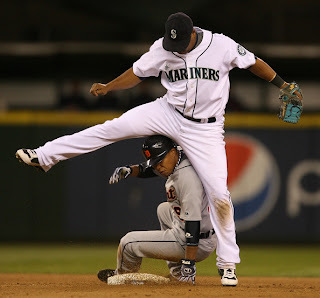 With Clint Barmes traded away to Houston, it appeared that the second base position was EY Jr’s to lose, but then O’Dowd acquired Jose Lopez from Seattle, a versatile infielder with high range factor numbers defensively that can play shortstop too. A double play combination of Tulo/Jose Lopez has the makings for being the best in baseball. Aaron Cook is attempting to rebound from a terrible year healthwise. It is unsure if he’ll regain his previous ace-like form, but being a solid innings eater and no. 3 starter would make Rockie fans happy. Newly acquired Fausto Paulino from Houston may challenge for a starting spot. Another key pitcher coming back from an injury plagued season is closer Huston Street. O’Dowd obtained insurance in trading minor league arms for Matt Lindstrom, who could fill in the closer’s role if Street falters. Lastly, there remains a question mark about how this team will perform on the road. They were 31-50 away from Coors Field last year. 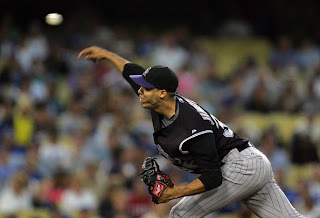 Had they played somewhat decent on the road, the Rockies could very well have run away with the division. I am not a Jim Tracy fan. He’s a nice guy and all but his game management leaves a lot to be desired. He falls in love with a veteran player and will play them often to the detriment of the club, ( ahem, Jason Phillips, Jason Phillips) We all know some of the questionable moves he made as the Dodger manager. I will give the man credit though. He’s a manager that has his players backs. Guys enjoy playing for him. In 2009 he had an amazing run when he took over this club but in 2010, reality set back in. Here’s the stat that really makes me wonder about Jim Tracy. Colorado had 38 one-run losses. As a strategist in the late innings, Jim Tracy isn’t good. Tracy’s team lost in their final at-bat ten times. These are the areas where managers matter, and Tracy failed in 2010. I was reading on Roberto Baly’s Vin Scully Is My Homeboy last week about the Mark Langhill book signing in Pasadena. His book looked interesting, so I went on amazon.com and ordered Game of My Life. While ordering it I noticed another Dodger related book cowritten by Duke Snider, Few and Chosen, Defining Dodgers Greatness Across the Eras. So I also bought it. Today it arrived in the mail. I had forgotten that I purchased Duke’s book. When I opened the package today and realized the timing of it’s arrival, I got chills. Rest in peace Duke. 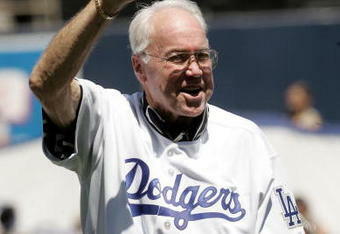 On this sad day in Dodger history so many condolences have been offered. The words from so many great people that knew the Duke have been said and I can’t possibly come close to equaling their eloquence. 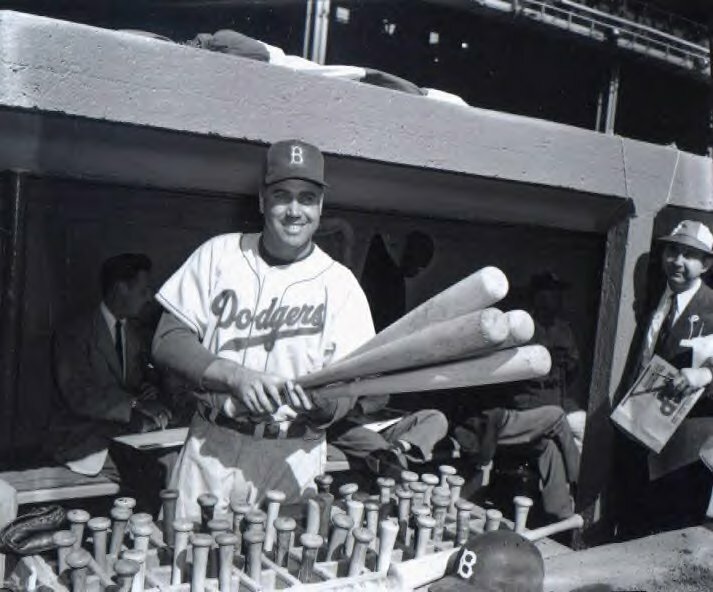 Suffice it to say, Duke Snider was a great Dodger. Duke was a great man. Duke Snider is a year older than my father and attended a High School within five miles of his. I never asked Dad if he had high school memories of the Duke, and I can’t ask him now because sadly, his mental state has been incapacitated due to a stroke. But Duke is from my dad’s Los Angeles generation, and his death hits me because I know my father’s isn’t too far off either. As other blogs and web sites post highlights and footage from Duke Snider’s playing career. I post something a little different. A few clips from Duke’s appearance on “What’s My Line.” One from 1954 with Sal Maglie and another alone in 1958 following the Dodgers departure to Los Angeles. Wow, Duke had a great smile didn't he? Rest in peace Duke. Say hello to Pee Wee, Jackie, Roy, Carl, Gil, Clem, Junior, Johnny Pods, Preacher, Joe B. and Sandy A. The Boys of Summer are putting together quite a squad up in heaven. We both worked the in the scorching heat and smoke and dust of the Southern border during a period in which we dealt with a lot of stress, action, violence, excitement and emotion. We also showed up at our new assignment location on the exact same day in November 1991. Immediately after having a conversation with Pete about sports, I knew we'd have a special bond. Pete’s a New Yorker. Raised in the Bronx, a National League guy, a Met fan. His dad followed the Dodgers, until Adolph O”Malley, (as he would refer to him), moved the team. He attended parochial schools and tells the story of a nun smacking his knuckles with a ruler whenever he wrote with his left hand, even though he is a natural southpaw. "Can you write left-handed now Pete?" I asked. "Not a word," he replied. He loved his New York sports teams. The Mets, the Knicks. We’d talk about sports. He about his Mets and Knicks and me about the Dodgers and Lakers. We’d get through those days dealing with constant searches, cargo examinations, looking through a 40 foot containers of women’s blouses or ceramic pottery in search of the drugs, while talking about sports from our youth. "What if Nolan Ryan had never been traded for Fregosi?" "Can you imagine how Ryan would have excelled in New York?" he'd say. 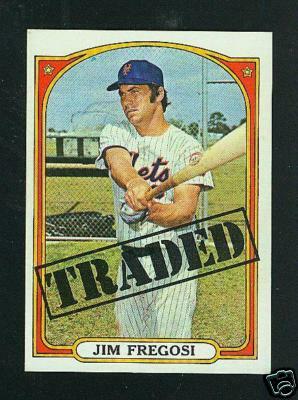 He talked about the '69 Mets, Tommy Agee and Ron Swoboda’s catches. We spoke of the 71-72 Lakers 33-game winning streak. 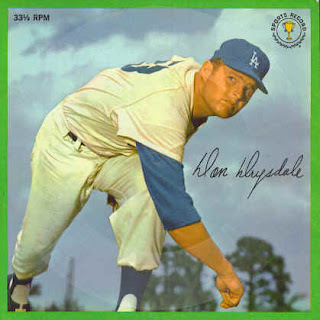 Don Drysdale’s scoreless streak. Willis Reid and the 70 Knicks. "How can it be possible that Gil Hodges and Maury Wills aren’t in the Hall of Fame?" He hated Gail Goodrich, I hated Bill Bradley. Now I look back and can’t understand how we couldn’t stand either one. They were both great players. One day Pete asked me how would Koufax perform in today’s modern game, “He’d win between 16-18 games, after all, the man is 52 years old now,” I said. Pete did something that I could never do, as he moved to the west coast, he switched team allegiance over to the Padres. He said it wasn’t a complete transformation. He still rooted for the Mets. 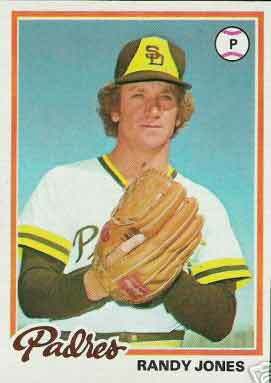 But he managed a convenience store in Phoenix for a few years and he ran across some Padre players at his store. 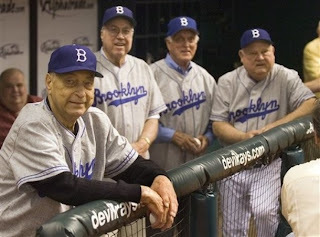 "They were really down to earth, nice guys...not like Dante Bichette, he was an (expletive). When his Knicks were in the NBA finals in 2004, the game was interrupted by the O.J. Bronco chase. First the game continued on a split screen, eventually they cut away from the game altogether. Man, Pete was fuming! I told him O.J. was just sparing him of the embarrassment of loss to the Rockets. He didn't think that was very funny. We attended a few Padre games together. I remember going to Randy Jones’ barbecue pit at the Old Jack Murphy Stadium and Pete talking to him about his post-Padre days as a Met. “I loved the Met fans,” said Randy. Pete said, "Of course, us New Yorkers are so easy to get along with," with a wry smile. I have to say, if all New Yorkers were like Pete, I'd agree with that statement. Between searches, paperwork, drug seizures, and getting our hands dirty on the trenches at work, we got through the day talking baseball and family. He met my kids and tried to convert my son over to Padre fandom, During a game we attended, he slipped a Padre cap over to my 6 year old son. I gave my boy that “look,” and he tried to give the cap back. “No, it’s your’s little Evan,” he said. I noticed the other day that Evan Jr. still has that cap. He turns 22 this year. I transferred to San Francisco in '96. Pete threw me a going away party at the Olive Garden in Chula Vista where about 20 friends from work showed up. 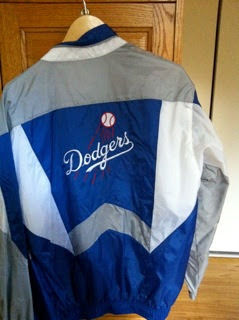 He gave me a Dodger jacket. Not a cheap one either. It had to set him back a couple of hundred. He said, “I could tell by the look on your face that you appreciated it.” I did. I love that jacket. It has been 15 years and I cherish that thing. The jacket that Pete bought me as a going away present when work transferred me to another location. We kept in touch over the years. Pete transferred to a Customs Preclearance Station in Toronto. He’d email me and tell me of all the athletes he’d meet as they cleared Customs upon departure out of there. He sent me an email with the caption "Guess what I cleared through Customs today?" He attached a photo of him posing with the Stanley Cup. He wrote me and told me of a co-worker of his that had a familiar surname. It turned out that he was the son of a former Dodger, someone at the time that was still affiliated with the team in a coaching capacity. Yes, Pete had an “in” for getting us some good tickets. So in 2001 we set it up. We’d meet in Orlando and head out to Vero Beach, Jupiter and Port St. Lucie for 2-3 days of baseball nirvana. We met at his hotel and drove out. For two days we saw 5 games. I have searched high and low for our pictures of these few days and have come up empty. I'm sure they'll turn up as soon as I click "send" and post this article. For our first day at Dodgertown we picked up our tickets at will call. Those seats were in the front row directly behind the plate. Heck, we were sitting next to scouts and Pat Sajak was three rows behind us. We walked around the practice diamonds and there was Stu Nahan in front of us. "Hey Pete," I said. "I was watching Rocky III at the hotel last night and that announcer, you know the guy that was announcing the fight, Stu, whatshisname?" Pete continued, "Yeah, he deserved an academy award as supporting actor for that performance." Nahan smiled and turned and said, "Okay guys, I hear ya, knock it off!" VERO BEACH, Fla. —Dodger pitcher Kevin Brown and Atlanta Brave outfielder Brian Jordan had to be separated Tuesday during the Dodgers' 7-3 victory at Dodgertown. Brown hit Jordan with a pitch on his left forearm in the first inning, and the players grabbed each other and exchanged words near the visitors' clubhouse after the fourth inning, eyewitnesses said. The benches cleared, but no one was ejected. 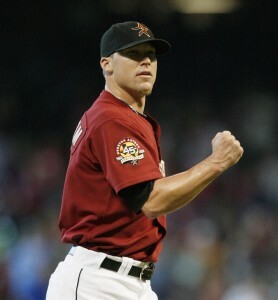 "He was upset," said Brown, who gave up five hits and two runs in four innings. "[The count] was one and two, I've got a man on first and nobody out. I don't know. I don't claim to understand it. "He was standing out there [near the visitors' clubhouse], and I walked by, I thought he was out there to give me a hard time. It's not like I tracked him down. "He wanted to know if I was trying to hit him on purpose. I said, 'Good gracious, you tell me, why would I hit you on purpose in that situation?' He was upset. That was about the gist of it." Jordan, who left the game after being hit, said Brown hit him with a pitch last spring training. "We just had a conversation, no punches were thrown," the outfielder said. "Of course, I was angry I got hit. When you get drilled, and your arm swells up, you're angry. "You can only get hit so many times before you take offense to it. I know he has better control than that, but everyone blew it [the altercation] out of proportion. As much as I remember the 2 brawls and the classic pitching match up, the one thing that stood out was our interaction with Bruce Froemming that day. I’m not really a heckler. In fact, I kinda wish I was, but I don’t have the snapping wit that most hecklers have. You have to be quick, smart and fast with the comebacks. It’s kind of like being a good stand-up comedian. Over the years I have heard my share of hecklers and there’s nothing worse than a heckler that is not knowledgeable about the game. But the guy that sat next to us, George from Brooklyn, he could really heckle. So in the middle of the first frame, Bruce came over to us. “Come on guys, can you give me a break, it’s Spring Training for heavens sake, can’t you lay off me for a Spring training game.” And George pipes up, “They didn't let us in here for free Bruce...Okay Bruce, we’ll back off.” Then the first pitch at the bottom of the frame,”Ahhh, Bruce! You missed it again!” This banter went on for several innings until George decided to take on Andruw Jones in the on-deck circle. “Hey Jones, you need Jenny Craig too.” “What are you weighing now Andruw, 260? 270?” Little did we know how accurate George’s comment would be a in 2008 when he landed on the Dodger roster. Over the years, Pete and I have picked time to meet up. 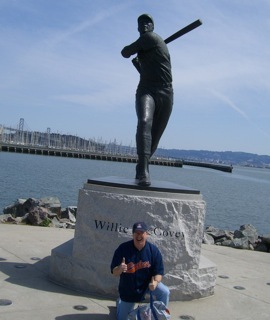 A few years back, he flew up here to San Francisco to check out the new Giants ballpark. Also, his wife set up a surprise 50th birthday party reunion between Pete and a number of his friends in Las Vegas. Gullible Pete couldn't figure out why he was meeting all these people in Vegas, he didn't figure it out that it was a set up until he ran into the 4th person he knew out of "coincidence" at the Bellagio. He has since transferred to Phoenix and my brother will accompany me as we meet up for 4 days of games from March 20-24th. 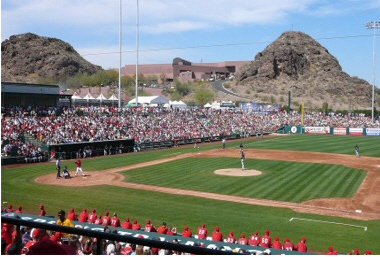 Baseball nirvana, the cactus league version is coming up with a great friend. Today I clicked the radio on at work and the sweet sounds of a baseball game was heard being transmitted from Scottsdale, AZ. 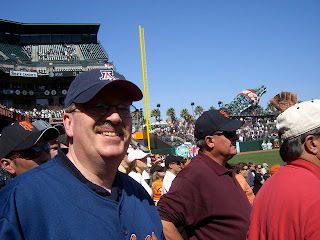 (Giants-Diamondbacks). It is only February 25th and baseball is back on the air. On a day when weather prognosticators are predicting snow in San Francisco, (sometime around 4 am), they’re playing exhibition games in Arizona. Life is good. Speaking of Giants. I forgot to mention that they have a commercial radio spot that plays several times a day with Manager Bruce Bochy in which he is plugging a season ticket plan. What makes it interesting is that he mentions getting tickets for “Dodger games, and other division rivals.” They still fear L.A. Amazing as it seems, after finally winning a World Series, they are still obsessed with the Dodgers. At Vin Scully is my Homeboy, Roberto Baly reports the latest Dodger news. The throwback jerseys, powder blue satin away jerseys from the 194os (that won’t be satin), have won the contest and will be worn during 6 games this year. I wish we could have seen the 1911 jerseys. I thought those were the best looking ones. TrueBlue LA has an interesting article on minor leaguer, Luis Vasquez, a fireballing right hander that is hitting 100 MPH on the radar gun with his fastball. If only he could grasp some control. 2011 will be a pivotal year for him. Mike Petriello over at Mike Scoscia’s Tragic Illness discusses Frank McCourt’s financial troubles in more detail. There’s a great photoshopping job there and interesting comments by his readers. Additionally on the McCourt case, a thread dedicated to it over at Big Blue Wrecking Crew is interesting reading. Many with legal backgrounds are predicting a total financial disaster with the Dodger ownership. Very interesting reading in a thread that goes all the way back to August of last year. Jon Weisman at Dodgerthoughts has an interesting revelation on Casey Blake’s performance when he gets some rest. It isn’t a promising outlook on what we may see this year. I’ll be watching Emma Amaya’s blog in the next few days as she heads on out to Camelback Ranch this weekend. She’s always got an interesting perspective. We originally met at Vero Beach about 5-6 years ago. There’s no bigger fan. Have a great weekend everybody. It's time to enjoy some Dodger baseball again put that nightmare season of 2010 officially to rest. One more Giants note and I promise to try to stop posting about them, but I'm sitting here listening to Jon Miller announce the game and I just have to add something. If his comments don't put the 8th inning playing of Journey's "Don't Stop Believing" at Dodger Stadium to rest, I don't know what will. He said that it became an "Anthem" to the Giants championship season. He mentioned that Steve Perry is a lifelong Giants fan and when shown on the Video Screen at SF's Phone bill park, he stood up, pointed to his Giant's hat (in reference to his allegiance to the Giants and not the Dodgers) and then led the crowd of 40,000 fans in singing the song. So that's it folks. The song has to go. 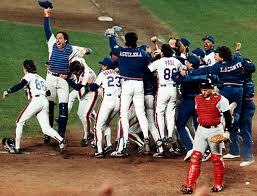 in fact, I'd say that a massive protest at Dodger Stadium is warranted if it is ever played again. 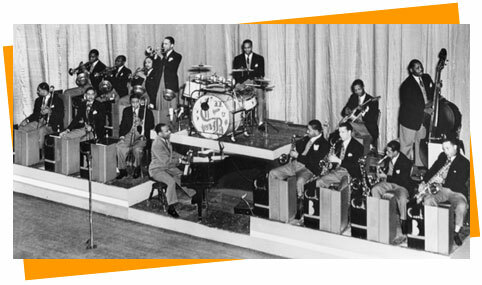 It's time for Count Basie in the 8th inning! The Auravision Talking Card Stock, How Rare Are They? This is the north wall of my office. I know this isn’t a very god picture because the glare obscures some of my artwork on the wall. There are autographed 8X10s of Sutton, Tommy Davis, Wills and Newcombe. There's an autographed photo of Tommy Lasorda and I, a few World Series Sports Illustrated covers ('74 and '88), paintings of old ballparks, (Crosley, Ebbets, Yankee Stadium and the Polo Grounds). Then up in the upper left corner are two of my favorite collectibles: Auravision talking baseball cards that came out in 1964 as the Dodgers were defending World Series champs. 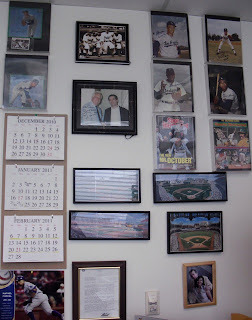 On my wall are the Drysdale and Koufax cards. These cards were actually records, 33 1/3 RPM records, and they have recordings of an interview grooved into the cards. They can be played on a phonograph. Since I purchased my cards 35 years after they were originally sold, I never dared try playing them on a record player, first because I don’t want to damage them and second, I don’t have a record player anymore. I always wondered what was on the record. Now, after viewing this you tube video, I know. Most interviews for the Auravision records were conducted by a great athlete himself, Marty Glickman. Glickman was a Syracuse University star that was an Olympian in the 1936 Berlin games. He was known for unjustly being bumped from his event, the 400 meter relay, along with Sam Stoller, because Avery Brundage didn’t want to offend the Nazi government and have Jewish runners win the race. As a result, Jesse Owens and Ralph Metcalfe took their places. 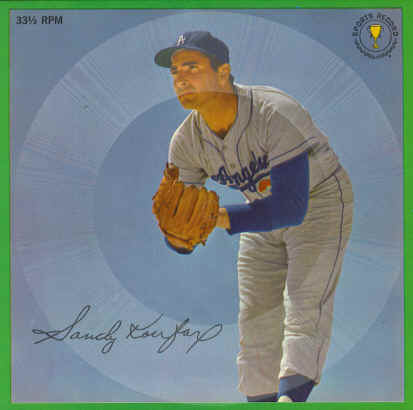 There were 16 Auravision talking baseball cards issued in the 1964 set, 10 of the players eventually became Hall of Famers. I understand that there was a 1962 set also. The other players in ’64 set were: Mickey Mantle, Warren Spahn, Frank Robinson, Willie Mays, Al Kaline, Bill Mazeroski, Roger Maris, Jim Gentile, Ken Boyer, Pete Ward, Rocky Colavito, Whitey Ford, Ernie Banks, and Bob Allison. I found an interesting article on these cards and found out that many were destroyed in a fire that wiped out a large inventory of them. The rarest talking cards to find are the Mantle and Mays cards. 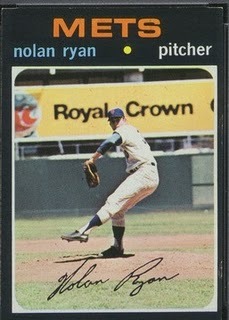 You may want to take a look at the link posted below that speaks of what has happened to large stocks of these rare cards from the 1960s. The word is out and Bud Selig is disallowing Frank McCourt to get a loan from the Fox Sports group. I believe that if he doesn’t secure financing soon, the Dodger ownership may be in serious trouble of not making a payroll this summer. There has been no word of McCourt succeeding in finding other investors to help him get out of this financial hole. Good news on the Vicente Padilla surgery. Reports from Dr. ElAttrache were that the entrapped nerve problem wasn't as severe as originally thought and that the surgery wasn't nearly as invasive as expected. Padilla may be throwing within 3-4 weeks. 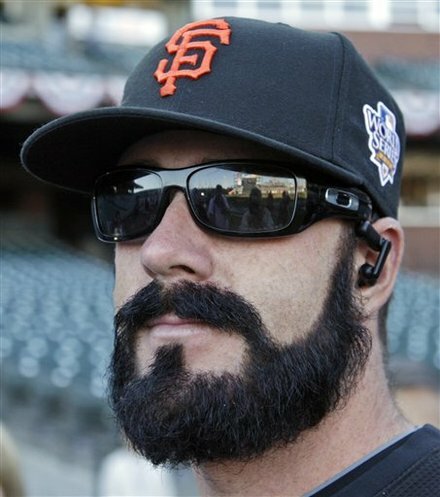 The best case scenario could have him pitching by late May in the bullpen. He is expected back at Camelback Ranch on Friday. “When Rick Vaughn picks up the bullpen phone, you answer,” said Wilson. It is reported that Wilson had the permission of Giant manager Bruce Bochy to be picked up in Sheen’s private jet and travel to Los Angeles for the screening. 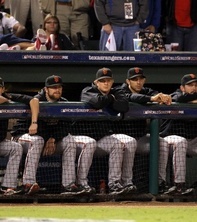 The reactions of Giant fans on the Giant flagship station KNBR were mixed. Sheen, recently has been in hot water over drug abuse and is currently suspended from taping the CBS comedy, "Two and a Half Men," because of another stint in rehab and a well publicized drug induced hospitalization. He was hospitalized as recently as this past January 27th. Wilson called the meeting with Sheen, anything but a party. In a San Francisco Chronicle article by Henry Shulman on Tuesday, Wilson is quoted as saying, “I’m not Dr. Phil, I don’t care about someone’s past. I don’t judge a person by what they’ve done or what they’re going to do...” He added that he was being consulted because there is talk of another Major League movie coming out and Sheen wanted some perspective on how he thinks and how he prepares himself as a closer. Reports today state that Wilson is throwing again and he says his back isn’t an issue. According to Wilson, he is ready to face live hitters. 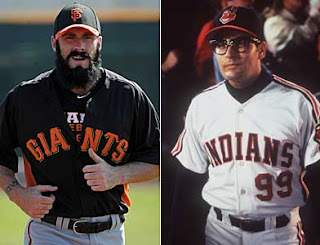 I guess so, if he can jump on a plane, go to the Wild Thing’s house and then return and throw a bullpen session. Bring it on Brian. One thing that many Dodger fans may be unaware of is that the Giants will have cameras in the clubhouse for a good portion of the beginning of this season. Yes, the Giants will be filming a reality show for Showtime. So the question remains if the distractions from wall to wall cameras everywhere will effect the defending champions on the field. Is it possible that this new-found attention and celebrity will make the Giant lose their focus? I wonder how it won't affect them. They’ll have cameramen following them around in a crowded clubhouse and michrophones and booms everywhere they can fit. That has got to be an irritant to some players and make them uncomfortable. 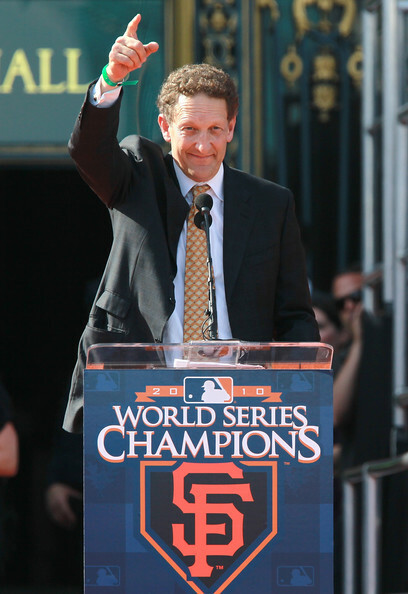 Giants Team President Larry Baer has talked a bit about the Showtime venture saying that a "Trust" factor between producers of the show and the Giants has been agreed upon and that they won't cross the line and capture intimate and private moments. I'm not sure how they'll know where the line is, but the experience I've seen from watching reality shows is that it is in those intimate, difficult moments that the crews really focus their attention because, let's face it, those are the most interesting moments to film. If for example, Wilson blows a save and he decides to redecorate the clubhouse in an angry tirade, you know the camera crews will want to film that. We'll see how that goes. Singer Carly Simon, the daughter of Richard Simon, co founder of the publishing house Simon and Schuster, had an interesting childhood growing up in Connecticut. Her parents were well acquainted with many famous intellectuals, celebrity artists, musicians and also athletes. Their children were exposed to such great dinner guests as as Gershwin, Einstein, Richard Rogers and Jackie Robinson and his family. 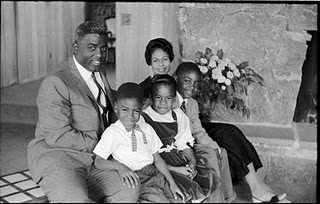 Jackie and Rachel Robinson with their children David, Sharon and Jackie Jr.
Simon had a special relationship with Jackie and the Dodgers as a young ten year-old girl, playing with Jackie’s kids and accompanying the family to games in Ebbets Field. Though she distanced herself from baseball after the Dodgers departed to the west coast, it always remained as an emotional tie to her childhood and the memories of Jackie and his family. Ken Burns asked her to record “Take Me Out to the Ballgame,” for his Baseball documentary, and was the final result. The a capella version, at a slow tempo, is an interesting touch. It makes the tune more solemn and emotional. I think it's a great rendition and I especially enjoy the tacked piano sound that gives it an old ragtime nostalgic feel at the finish. I remember as a child, tacking our piano at home to get that Scott Joplinish ragtime sound. “I remember when Jackie Robinson came to New York and started stealing off the best pitchers in the league - I was ten years old and had the immense fortune of living with the Robinson family in the summer of ’55. They came and stayed with us at our home in Stamford, Connecticut, while they were constructing their own, down the road and around some green corners. That summer I would drive to Ebbets Field with Jackie and his family and mine, and sit and wait in the dugout for the game to begin. Nothing has been quite as thrilling since. Bill Miller: Let’s talk about the Brooklyn Dodgers. That had to tear you up when they moved those guys to the West Coast. Carly Simon: That’s when I lost interest in baseball and started at a premature age to be interested in boys because I had to put my energy somewhere. Miller: I read that you compared yourself to Pee Wee Reese. Simon: I don’t think I compared myself to him. I used to sit on his lap. Simon: You know what? That sounds right. When I was eight, I was the Dodgers’ mascot because I went to the stadium so often. They made me a little baseball suit, and I got to sit in the dugout, and that’s when I sat on Pee Wee’s lap. Jackie Robinson and his family lived with us during the summer of 1955, and I would drive to Ebbets Field with Jackie and very often my father and mother for the home games. Sometimes Rachel, Jackie’s wife and their children, Jackie Jr., David and Sharon came with us. Miller: Do you still have your little Dodger’s baseball suit? Simon: No, I don’t know what happened to it. Speaking of music and Jackie Robinson. I highly recommend the Woodrow Buddy Johnson written and Count Basie hit: “Did You See Jackie Robinson Hit That Ball.” If you’ve heard it before, listen to it again. It is epic. An amazing recording from 1949, Jackie’s MVP season. I dare you to listen to this without tapping your feet. It is absolutely impossible. 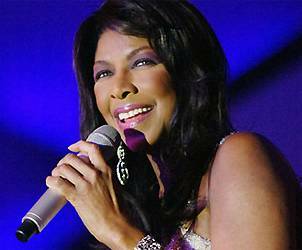 Also it should be noted that in 1994, also for the Ken Burns “Baseball” project, Natalie Cole re-recorded the same tune and it is as swingin’ as the original. I just bought it on i-Tunes and love it. Okay, now here is my recommendation to the Dodger organization. Get rid of that 8th inning, Giant fan written/performed “Don’t Stop Believing” and replace it with this song. It’ll get Chavez Ravine truly swinging. You’ll have your lip sincing that can be done by fans. You can replace air guitar players with air sax players, air trumpet players and there is even a decent drum segueway for air drummers. I can see Deuce performing it now! Plus it is only two and a half minutes, a perfect fit between innings . They can even switch it up and have Count Basie’s version one night and then Natalie’s the next. Sorry, but I think this may be the best idea that I’ve ever had in my life. Anyway, I’d really like your thoughts on this. This is a Dodger themed tune of our most historical figure, with L.A. ties, and it’s as hip as all get out. I don’t care that the tune is 62 years old. Whataya say? As all players prepare to report for the first full day of workouts at Camelback Ranch, I note two glaring defensive statistics that stick out when looking at the Dodger outfield. Both those numbers were the worst in the league. 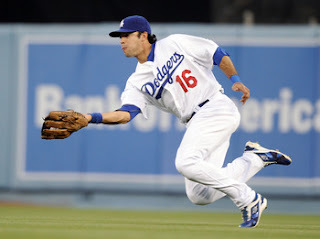 Combine Ethier/Kemp with Manny Ramirez and the Dodgers had the most porous outfield in the Major League Baseball in 2010. The Dodgers could potentially shore up their defense with Gwynn in Center, Kemp in right and Eithier in left, but Mattingly has already stated the Kemp and Ethier will stay put, even if Gwynn makes the starting lineup. That, my friends, is a recipe for disaster. I think that there isn’t much being said about this problem because very few have a clear understanding of UZR. It is a statistic that determines a players value with regard to field coverage and balls that they make plays on. Having a UZR of 0.00 is the absolute average defender. A UZR in positive territory is above average and a UZR in the negative is below average. A UZR of -24 for a centerfielder is horrid. The next to lowest UZR for that position last year was -14. 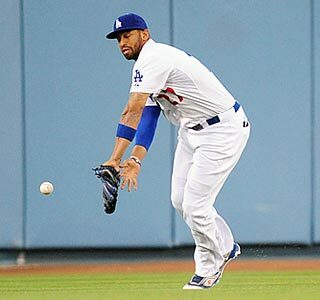 Sabermetricians estimate that Kemp gave up in excess of 40 runs last season due to his inability to make plays on balls that the average centerfielder would have. We aren’t talking about a small sample size either. This is for the course of the entire season. Considering that Kemp had a positive UZR of nearly +4.00 in his gold glove winning 2009 season, it is startling to see the deterioration in his defense. 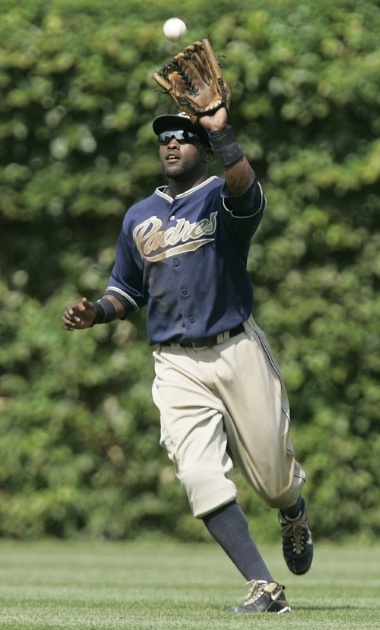 New Dodger arrival, Tony Gwynn Jr.
Now here’s another startling statistic. A centerfield UZR/150 of +34. That was Tony Gwynn Jr’s UZR rating last season based on projections over 150 games. Having Gwynn in center over the course of a season (and not Kemp) could save the Dodgers in the neighborhood of 50 runs. So here are the questions I pose: is Kemp’s offensive contribution more valuable that what Gwynn’s defensive contributions will be? If Mattingly keeps Kemp in center, will he be able to compensate offensively for what he gives up defensively. I see the solution as a simple one. Put Gwynn in Center, Kemp in right and Eithier in left. A platoon of Gibbons and Thames in left with the other two defensive liabilities will make for much folly in the Dodger outfield this year. (Thames lifetime UZR is -16.1 and Gibbons is at -4.0). The camp he has conducted so far I see as positive. I don;t think he has too much to worry about. He has the respect of the club.